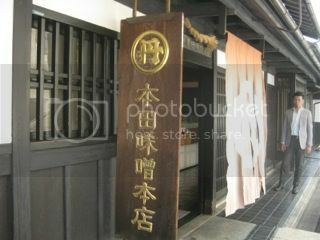 We walked down to Gion for a quick lunch. The gate of the pathway to the entrance was so tiny and easy to miss. 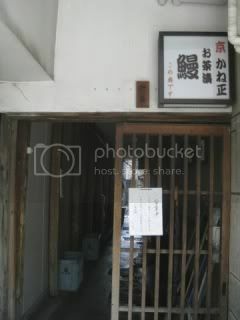 But, once we got to the door, I could smell the appetizing grilled eel. Fresh eels are fabricated and cooked to order. 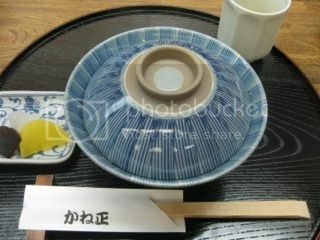 They do the traditional Kansai (western Japan) style grilled eel - i.e. 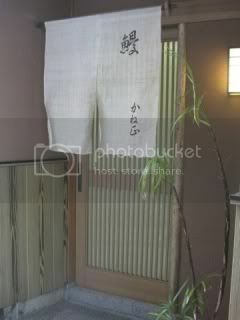 an eel is sliced open from the belly side, and not steamed prior to getting grilled. 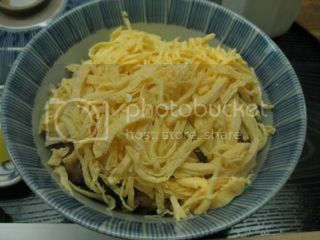 I had a grilled eel rice bowl, topped with thinly-sliced egg crepe. 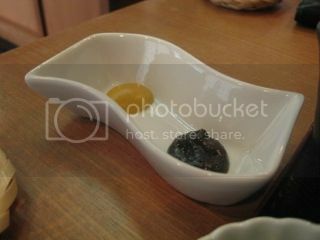 I enjoyed the simple and rustic dish. In the afternoon, we visited Honda Miso Honten and met Junya-san, who is the 5th generation of the family-owned miso maker. 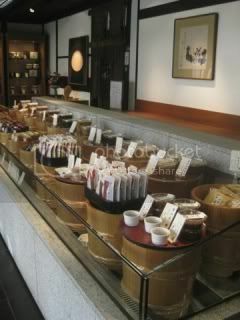 Honda Miso's history is the history of Saikyo Miso, which is Kyoto's traditional sweet white miso. 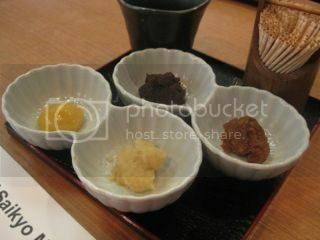 They gave us tasting of different kinds of miso they make. Simply fantasting. 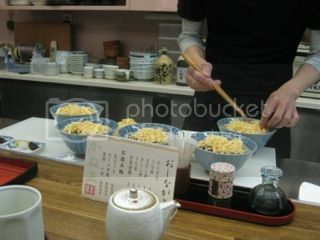 Junya-san told us for their "su-miso" (vinegar-seasoned miso), they use Murayama Zosu's Chidori-su!